One of the keys to successful branding is consistency. Everything your business does, from your logo to your products to your personal interactions with the public, builds and reinforces your brand, for good or bad. Therefore, it is extremely important for the team tasked with launching a new brand to have the same information and materials, and for each member of the team to understand the efforts of all other members. Using a globally accessible cloud service, such as Livedrive, for all marketing materials ensures your documents and designs are accessible to all members of your team at all times. The cloud also helps you avoid losing important materials with any employee turnover. Before any communication with the public, you must first define what you want your brand to be. Entrepreneur Magazine suggests that in defining a brand you should develop a clear vision of your mission, the benefits and features of your products or services, an understanding of what customers and prospects already think of your company and what qualities you want consumers to associate with your company. It is imperative to understand and learn the language of your target market. By identifying and knowing your audience, you can build a brand they identify with and will help promote. Consider both the demographics of your target market (age, gender, location, income level, etc.) as well as the psychographics (personality, lifestyle, values, hobbies, etc.). Your marketing team should have a clear picture, based on market research, of who they want your audience to be, and then your team should define your brand based on what appeals to that audience’s needs and lifestyle. At the end of the brand defining process, everyone on your team should have a shared understanding of who you are as a business, what you want your brand to communicate and who you want to communicate to. 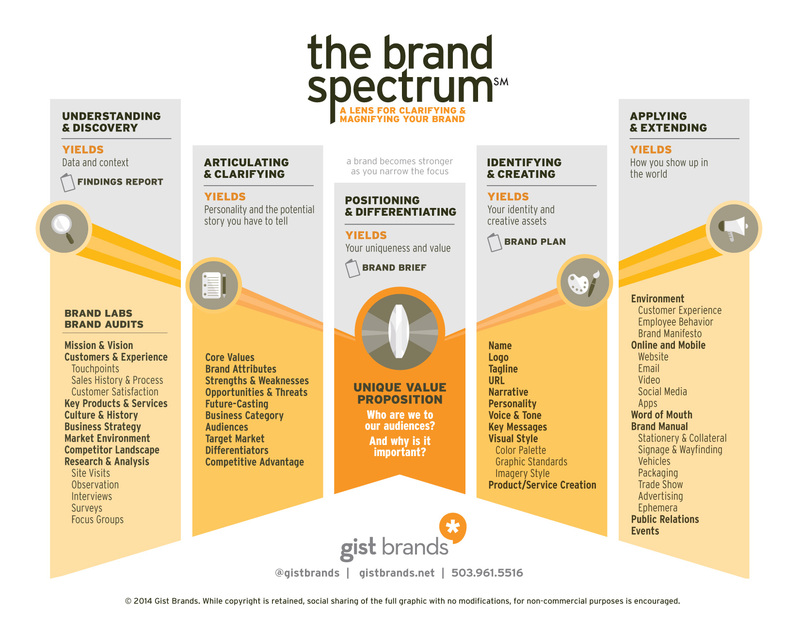 Here are some more tips (in an infographic by GistBrands) on how to discover, articulate, differentiate, create, and activate your brand. With your brand defined, it is now time to develop materials that consistently communicate your brand to your target audience. Create a logo that will serve as the visual representation of your brand (think of Target’s bull's-eye). Write a tagline or a short statement that communicates the essence of your brand (think of Subway’s “Eat Fresh”). Develop brand standards for all marketing materials, such as a consistent color scheme, visual style and tone. Make sure all written communications, from advertising to tweets, reflect the same voice. For a luxury brand, such as Lincoln cars, this means a more formal tone, while a brand like Airheads Candy is more playful. For a new brand, social media is one of the most effective ways to build an initial following. Interesting and engaging content that is useful to the target audience is more likely to be shared, which helps create a base for your brand. While your message must be consistent, your marketing team also must understand what types of content are effective on each social media channel. For example, on Twitter and Facebook, content with pictures are more likely to be viewed and shared, as is content about real-time events. 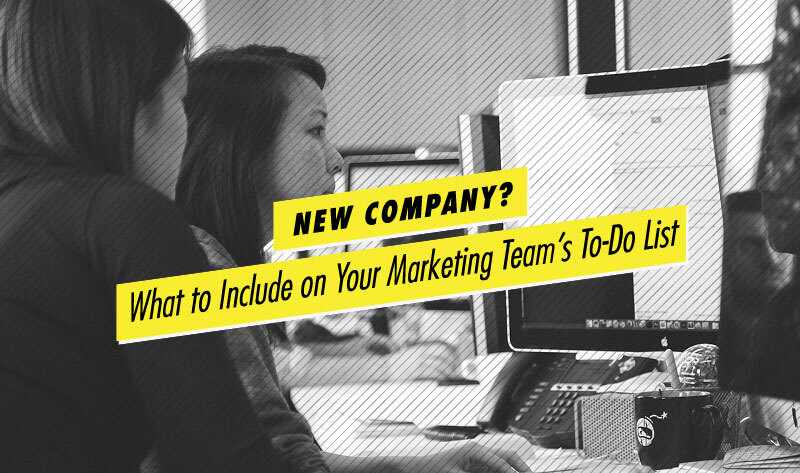 Whatever channels and methods your team chooses for marketing, the bottom line in brand building is consistency.